Nebraska State Treasurer Don Stenberg welcomed two new Nebraska NEST Birthday Babies today and reminded new parents that they have until January 10, 2018, to enter the drawing in celebration of Nebraska’s 150th birthday. The name of the last NEST Birthday Baby will be drawn in January, bringing the total number of Birthday Babies to 12. Each Birthday Baby has received a $529 contribution to a Nebraska Educational Savings Trust (NEST) college savings plan. Parents and guardians who live in Nebraska may enter their newborns in the drawing at www.NEST529.com/NewbornDrawing. “Our Nebraska NEST Birthday Baby drawing has been a truly rewarding experience. We have helped young families learn about our highly regarded state-sponsored 529 college savings program and, at the same time, we have met remarkable parents and grandparents who want only the very best for their children and grandchildren,” said Treasurer Stenberg, Trustee of NEST. 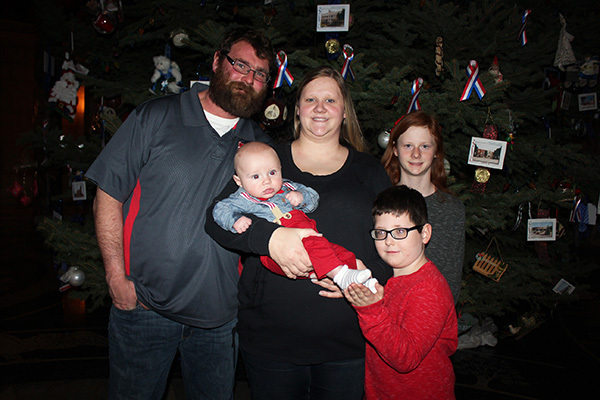 Christopher and Lineva Matzke of Lincoln with their NEST Birthday Baby, Andrew, and his half-siblings, Isabella and Jaxson Condon. Lineva and Christopher Matzke said, like all parents, they wish the very best for their son Andrew. He is doing well, they said, after being born prematurely and spending the first two and one-half weeks of his life in the Neonatal Intensive Care Unit at Bryan Medical Center East. Lineva works at Bryan as a certified nursing assistant, and Christopher drives a service truck at Cross Dillon Tire. Andrew has older half-siblings, Cole Matzke, 16; Isabella Condon, 11; and Jaxson Condon, 7. “We want what every parent wishes, that their children do what they want to do, what makes them happy, and that they live happy and successful lives,” Lineva said. Michael and Penny Fehringer of Wayne with their children, from left, back row, Miranda, Maggie, and Michaela. Front row, Jacob and Macie. Courtesy photo. 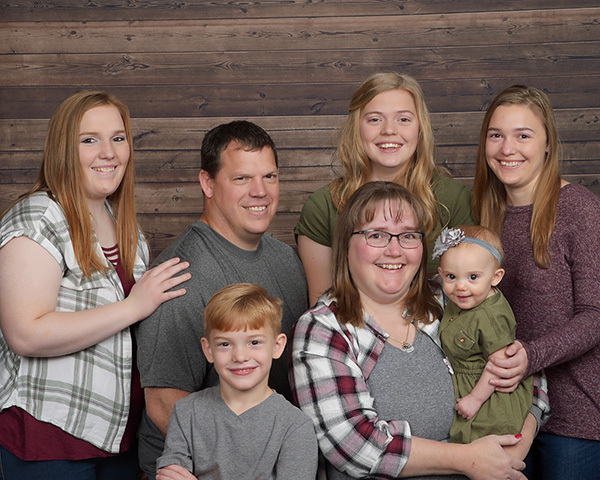 Macie Fehringer is the youngest of five siblings and, with three older sisters, has plenty of “moms” to help care for her. Penny said the family had been focused on college for the older children and hadn’t thought about saving for Macie. The NEST account will give Macie a great head start, Penny said. The Fehringers’ oldest daughter, Michaela, 19, attends Wayne State College where she has received generous scholarships, including a scholarship from the Susan T. Buffett Foundation. She will graduate debt free. Other children in the family are Miranda, 17; Maggie, 16; and Jacob, 7. Penny is a customer service representative at BankFirst in Wayne, and Michael is a math coach at Omaha Nation Schools in Macy. Chloe Anne Cox, daughter of Chris and Kate Cox of Lincoln. Rules for the Nebraska NEST Birthday Babies can be found at www.NEST529.com/NewbornDrawing and here. Information about the Nebraska Sesquicentennial can be found at ne150.org.